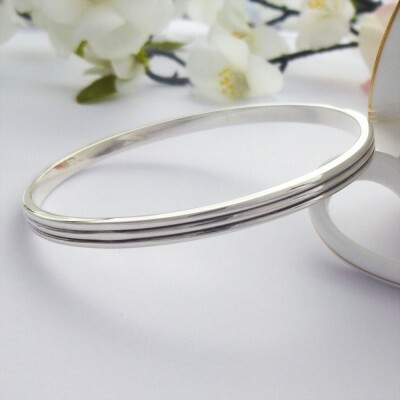 Guilty are so happy to add the popular Phoebe to our large wrist range, a great bangle at a great price, exclusive to Guilty, hand made in the UK with double grooves and a smooth, highly polished inside. The Phoebe has been a great addition to the Guilty range and is now available for larger wrists with an internal diameter of 67mm. With a double groove evenly spaced on the exterior of the bangle, it creates the illusion of having 3 stacking bangles. The outside edges and inside areas are completed in highly polished smooth sterling silver and the Phoebe is hallmarked in the UK. 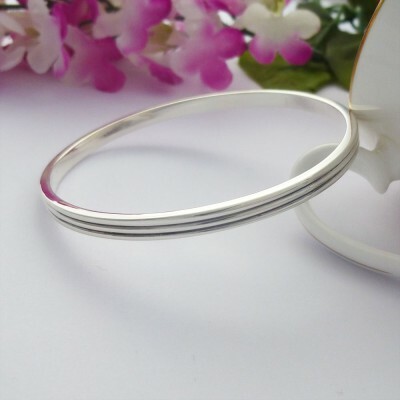 The Phoebe is perfect for ladies that like a simple round bangle with a little bit of added style. 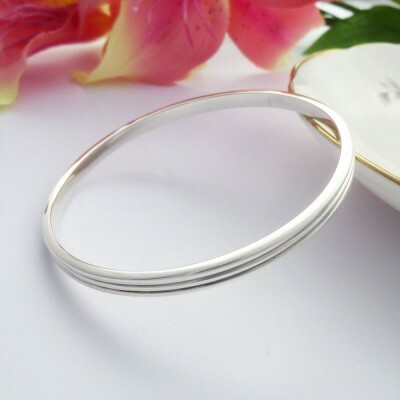 The simple groves around the exterior add a 3 dimension and the Phoebe is perfect if you are looking for a comfortable bangle to wear everyday and is in our engraved bangles range. 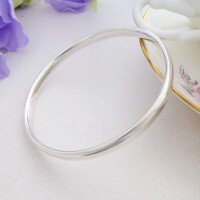 The Phoebe is exclusive to Guilty, hand made in the UK in solid 925 sterling silver. The large wrist double grooved bangle measures 4mm wide. The internal diameter of the Phoebe grooved is 67mm.